The company Zaffiri has handcrafted origins since 1889 when the grandfather Raffaele founded his company at first in the city of L’Aquila and then in Sora. 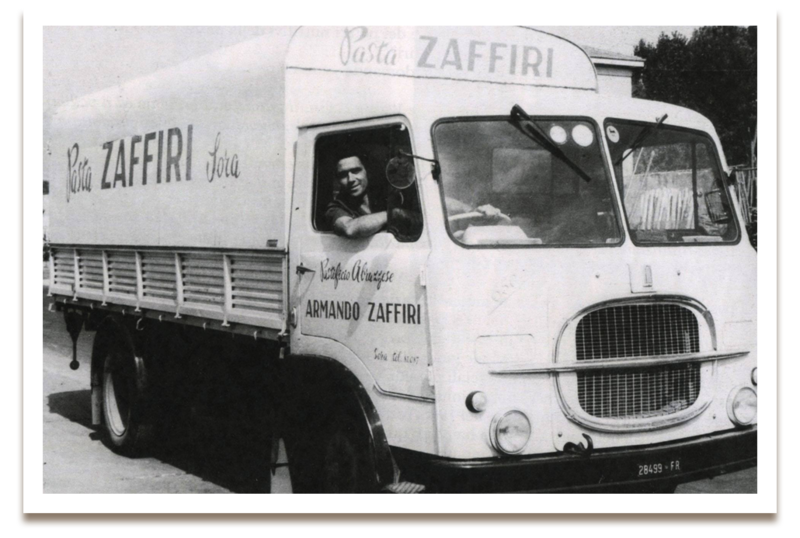 In 1992 Armando Zaffiri starts up in Sora (FR) a pasta manufacturing plant of his own and in 1951 , thanks to a new plant/factory, he comes to a production of 10 tons per day. In 1968 the existing factory Pastificio Zaffiri was established and thanks to his sons Tommaso and Walter the production constantly develops.